Knitting pattern for the cutest vest. 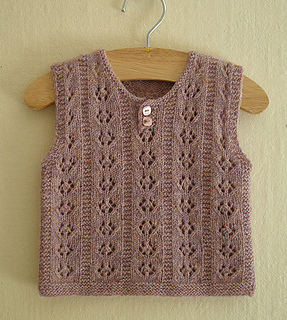 Worked in my all-time favourite eyeletpattern. 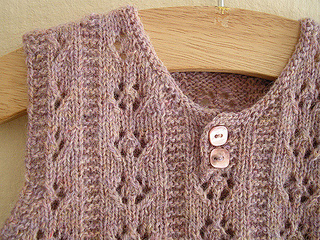 Pattern is available in english as Ravelry download. Garter stitch: 24st = 10 cm (4”) using 3mm needle. Eyeletpattern: 9st x 10rws = 3½ x 2½ cm (1,4”x1”) using 3mm needle.